The Volvo V50 is an estate version of the S40 saloon. The V40 model helped to make estate cars fashionable as well as functional. The V50 is all about fashion, and is perhaps more fashionable than functional, and it’s a highly functional car. The V50 boasts a load area that is actually smaller than the V40′s and most of its rivals’ including the Audi A4 Avant and BMW 3 Series Touring. The V50 did not increase in size which is so often the norm, it’s actually smaller than its predecessor. The car seems to have a friendly, almost childlike design. The V50’s character looks as if it could be a toy. Some versions of the V50 feature fat alloys and lowered suspension, but the car’s pleasant non-aggressive manner still comes through. The car’s interior is of superb quality, most buyers have come to expect as much from the Volkswagen brand. Volvo goes the extra mile when it comes to attention to detail they can’t be beat. The company goes as far as to create an allergy-free environment with minimum levels of pollution. Volkswagen offers other features as well, like the ‘floating console’ that frees up cabin space and adds to the cabin’s comfort level. The V50 is an excellent car to drive. It is more enjoyable than many saloons that are on the market. Rival cars in this sector will have a hard time competing with the V50, and the car’s high levels of refinement. 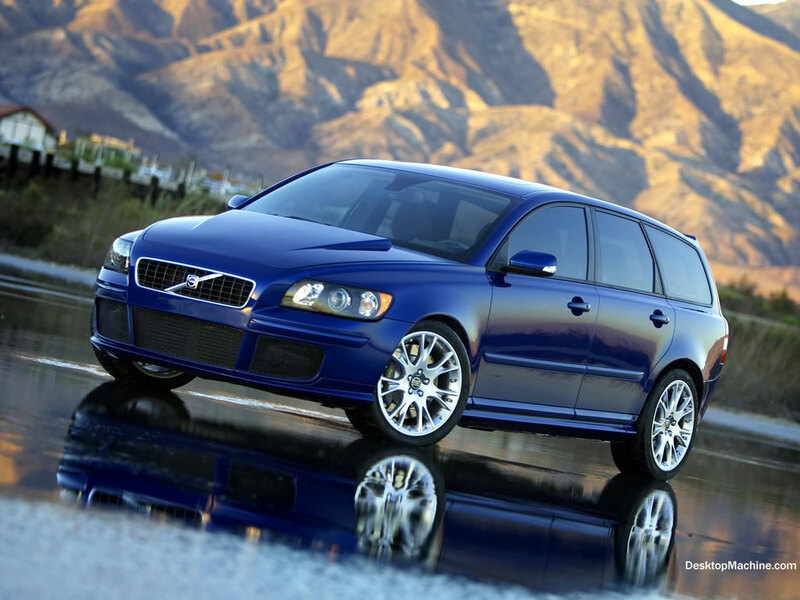 The Volvo V50 carries a hefty asking price but insurance rates are low and fuel economy is decent. Servicing charges are on the high side, but Volvo reliability will ensure that you don’t have to service the car as often. The cabin is spacious and will provide sufficient space to all of the occupants. The rear is spacious and will accommodate two adults easily. The boot is large, but awkwardly shaped, as the rear suspension makes its presence known in the boot. This is offset by the fact that all passenger seats fold flat to make room for large loads. The gauges are clear, concise, and well located. The fascia is uncluttered and the controls are functional as well as practical. The switchgear is of high quality as always and all controls are clearly labeled. Passengers will be comfortable both up front and in the rear with plenty of head and legroom. The cabin is very quiet, even with a diesel engine. The seats are soft but still supportive, reducing driving fatigue. Accessing the cabin is easy, the doors have large apertures, and aren’t heavy. The V50 sits at the perfect height so passengers don’t have to duck into the car’s cabin. The boot is easy to access through the large, but surprisingly light hatch. Parking the V50 isn’t the easiest seeing as it is an estate, though it is easier than other competitors. And even though it is a larger car, light power steering, and good visibility aid in parking confidence. Sensors are on the options list for those who would like a bit more reassurance, as reverse parking is still a bit difficult. Sharing its underpinnings with the Ford Focus C-MAX and Mazda 3 – both of which are widely regarded as having class-leading handling. Drivers will find the V50 very satisfying to drive. is a hugely satisfying drive, the car provides good grip, and the brakes are excellent. The car is very refined and provides a good driving experience. The V50 has a lot to offer families. The car’s sporty nature will appeal to the enthusiastic drivers in the family, while the car’s safety credentials will weigh in big with parents. The car is stylish enough and sports the Volkswagen badge that image conscious families will certainly feel stylish enough in the V50. This is not a good first car. The power on offer may be a bit much for a novice driver, and the car’s mature looks aren’t likely to score many points with teens. Volvo products now boast the same quality as BMW, Audi and Mercedes. The V50 provides premium quality and is more than worthy of its premium classification. Volvoi has gone from a manufacturer of practical cars to an exciting manufacturer of premium and fun cars. The car comes equipped with an alarm and an engine immobiliser, deadlocking and electronic anti theft parts marking. Keyless drive is another option, and an automatic help system is also an option. The car’s standard safety features include dual stage driver and passenger airbags, side impact protection and inflatable curtains. Standard electronic climate control with an active carbon filter creates a safer and cleaner cabin. The car’s standard audio system includes a six-speaker, single-slot CD/radio with 4x25w amplifier by default. The unit provides excellent sound quality, and many upgrades are available, including a sat-nav system. The car looks better in darker bolder colours. Dark Lilac, Deep Blue and Titanium Grey Pearl are flattering colours on the V50’s exterior. The V50 is one of the most attractive estate cars ever designed. There are other similar offerings out there that cost less, but given the fact that the V50 carries the Volvo badge, many buyers will gladly pay for the privilege.